Nature Biotechnology reports on an innovative technology that will provide the scientific community with novel tools to gain a comprehensive understanding of immune system activity. Developed at Technion Israel, the technology is based on of millions of scientific publications and maps disease immune profiles. These maps, which have identified previously unknown biological interactions, will enable the development of personalized, immuno-centric therapies. A technology developed at the Technion-Israel Institute of Technology will provide the scientific community with innovative tools to gain an in-depth understanding of the immune system in health and disease. The technology, which the researchers have named immuneXpresso, scans millions of scientific publications, and maps disease immune profiles. These maps, which have already identified previously unknown biological interactions, will enable development of personalized, immuno-centric therapies.The work, published in Nature Biotechnology, was led by the doctoral student Ksenya Kveler, under the guidance of Assistant Professor Shai Shen-Orr from the Rappaport Faculty of Medicine. Contemporary medicine has advanced at a dizzying rate; life expectancy doubled between the middle of the 19th and the end of the 20th century, vaccinations have dramatically reduced mortality rates among infants and children and, in the last two decades, groundbreaking, immune system-related technologies have been introduced into clinical practices. Such technologies have dramatically improved our ability to treat diseases – particularly cancer – by manipulating the immune system. The immune system, however, is highly complex, and rendering its analysis and targeted activation are a considerable challenge. In the past decade, the scientific community has developed innovative tools for precise and broad measurement of cells, proteins and genes among others. These tools provide a wealth of information and therefore, the current challenge, which the publication focuses on, is to analyze the information. The model provides, for the first time, a fascinating view of the system at large, a better understanding of the available information and its limitations, automated data interpretation and systematic generation of new hypotheses. The Technion researchers developed the technology that scans life sciences scientific literature and generates, a global and high-resolution picture of the network of interactions between immune cells and the human body, across thousands of diseases. immuneXpresso is a dramatic step toward obtaining an immune-centric view of diseases. In this context, immuneXpresso was programmed to scan the PubMed database – which, to date, contains 16 million publications. The study focused on molecules called “cytokines” – proteins that enable immune cells to send messages to cells and tissues throughout the body. This novel technology enables the researchers to generate a computerized, detailed map of connections between 340 types of cells and 140 types of cytokines across thousands of diseases – a novel and unprecedented knowledge-base in terms of its resolution and breadth. This process provides a global picture of the network of interactions between immune cells and of scientific knowledge accumulation patterns over time. 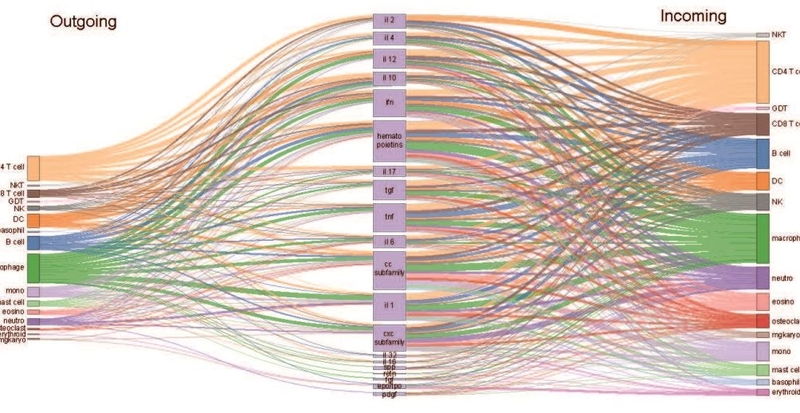 In addition to mapping known factors, the analytical approach described in the paper enabled prediction of hundreds of novel biological interactions, which have not been identified or reported until now. Also for the first time in history, the researchers mapped the immune profiles of various diseases and successfully clustered diseases based on similarity between their “disease maps”, which present the links between the medical status and the immune status. These “disease clusters” provide a unique roadmap to identify immune dysfunctions in various disease states. This achievement will enable designation of existing pharmaceutical therapies for new indications, which they are expected to be able to prevent or blunt. “To translate this information to personalized medicine,” said Prof. Shen-Orr, “we plan to link it to the patient’s immune profile, with the clear understanding that the immune system varies between people as well as over time within the same person. If we manage to monitor this system, as we monitor, for example, cardiac activity, we will be able to provide personalized, accurate, knowledge-based medical interventions”. Systems immunology – first introduced approximately ten years ago – has primarily been focused on our ability to measure the system in humans and to generate a mass of data. But the complementary perspective – interpretation of the data – did not develop at the same pace. Prof. Shen-Orr projects that immuneXpresso will provide a significant push to the interpretive aspect, partially because it is a platform for mapping and standardizing existing data, which enables linkage between the scientific literature and experimental data. Prof. Shen-Orr’s lab is an interdisciplinary space which brings together researchers from a computational background with biological scientists. He himself exemplifies the integration of various disciplines: he completed his bachelor’s degree in Information Systems in Industrial Engineering and Management and Computer Sciences at the Technion, his master’s in bioinformatics – application of information databases and computational tools for biological and medical research –at the Weizmann Institute of Science, his PhD in Developmental Biology at Harvard University and a postdoc in Biomedical informatics and immunology at Stanford. 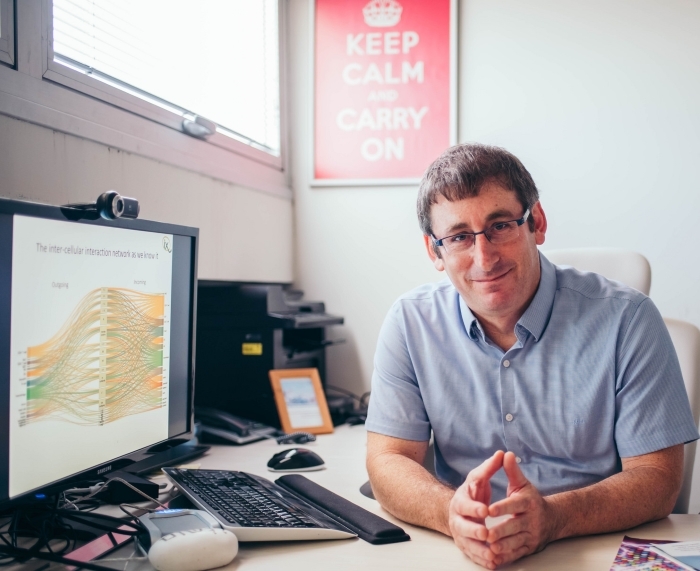 In 2011, he returned to the Technion as a Rappaport School of Medicine faculty member and now is the director of the Systems Immunology and Personalized Medicine Laboratory. The research was supported by the National Institutes of Health (NIH) and involved years of invested time. 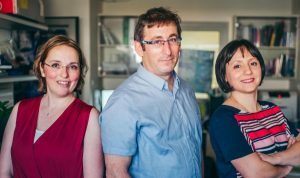 Commercial development of the immuneXpresso technology is currently ongoing at CytoReason, a company building a machine learning model of the immune system and deploying it to empower drug development and precision medicine.